Making time to make NaNoWriMo your own | The Tales of Missus P.
As usual for me with NaNoWriMo, I am otherwise engaged with a new job. That means working at a busy library, and a long commute to and from. No, there’s not a lot of time to do anything at home other than hang out with Steve, eat, watch TV, and pass out for the night. However, I have found that the commute is handy for reading. I really like sitting on the bus with my Kindle for the better part of the journey, letting myself relax with a book first things in the morning. If I can find time to read, surely I can find some time to write. I know right now that getting 1,667 words per day is going to be too high of a goal, but as I’ve found out the hard way, rushing to get a project done really isn’t always the best way to go about doing something. So, I’ve made out another handy list of articles devoted to finding time to write. Even if you’re like me who just wants to get something down each day, you can do NaNoWriMo in a way that suits your current situation. Master the art of snap-writing. Resist the impulse to overdo it. It’s not about finding time to write; it’s about making time to write. Remember you are doing this for you. There’s always going to be the debate between plotters and pantsers too. Whatever works for you is fine. Personally, I do better by just writing out notes, then letting the story take shape on its own. Too much planning makes me feel stifled (sometimes, not always). Bottom line is to enjoy the journey. We’ve all been through the same issues of finding time, or having so much time on our hands that we procrastinate. Just get what you can done because in the end all you have to really do is write. 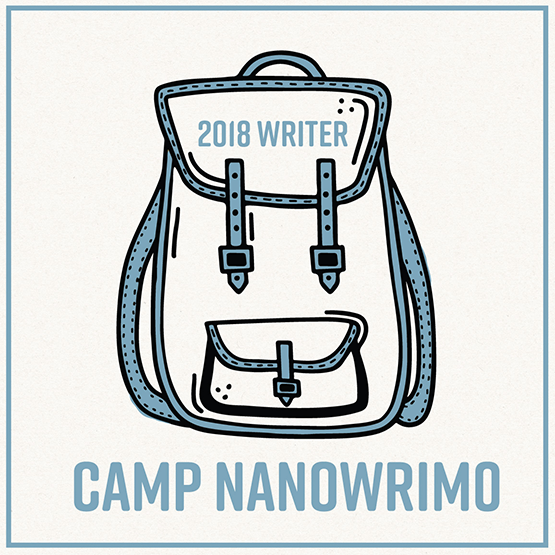 This entry was posted in All About Me, Books, Writing and tagged NaNoWriMo. Bookmark the permalink.